The defendant operated a motor vehicle. A law enforcement officer ordered the defendant to stop or remain stopped. Defendant knew that he or she was directed to stop by a law enforcement officer and willfully failed to stop or fled. In Jacksonville, Florida, Fleeing or Attempting to Elude a Law Enforcement officer is a third degree felony. There are defenses to this crime. For example, a Jacksonville Florida driver is driving home from work. This Florida driver is upset due to the fact that she was terminated. Due to her state of mind, she does not notice that a Jacksonville police officer is trying to stop her vehicle. As a result, she is arrested for Fleeing or Attempting to Elude in Jacksonville, Florida. 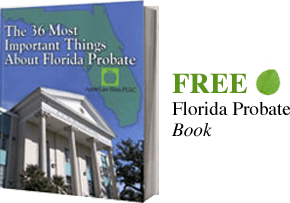 A Jacksonville Fleeing or Attempting to Elude Attorney can investigate the case and prove that this Florida driver had no intent to commit the crime. If you have been arrested in Jacksonville, Florida or the surrounding areas for Fleeing and Attempting to Elude a Law Enforcement Officer, contact a Jacksonville Florida Fleeing or Attempting to Elude Attorney. A Jacksonville Florida Fleeing or Attempting to Elude Lawyer will investigate your case and advise you further. Contact our Jacksonville Criminal Defense Lawyers by email or by calling 904-685-1200.